← PacRim 2016 Initial Planning Meeting This Wednesday, January 6th. Welcome From Punta Arenas, See You In Bellingham January 30th! Bellingham Sister Cities Association invites you to our first Annual Punta Arenas Day with the theme “Its All about Thanksgiving.” January 30, 2016 at the Bellingham Yacht Club (BYC) @ 5:30 -7:30 PM. It is free and you can register by clicking here. 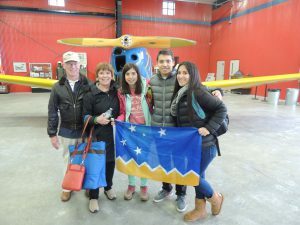 We will be introducing 3 high school students from Punta Arenas, who will be accompanied by their Bellingham Host families. Our Chilean students will have an opportunity to share a little about their community. In conjunction with our learning a little about them and their part of the world, they will simultaneously be learning about the American tradition of Thanksgiving. Turkey and stuffing will be provided. Any guests are asked to bring a side dish that is consistent with a traditional Thanksgiving dinner. 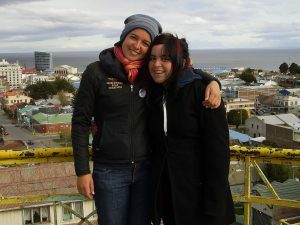 Cheryl Myers, the Bellingham Sister Cities Chair for Punta Arenas, has a number of other learning opportunities for our community to gain knowledge about the life, culture and people of Punta Arenas Chile. Hope to see you there! This entry was posted in Bellingham Sister Cities Association. Bookmark the permalink.